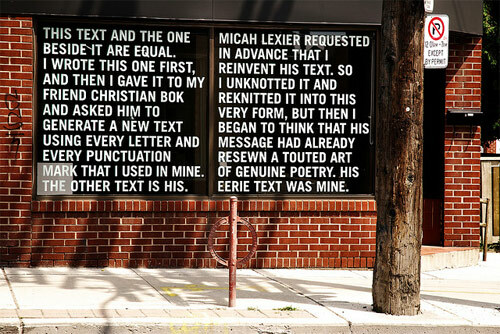 A collaborative work by artist Micah Lexier and poet Christian Bok. I’ve always loved text-based work and for me this is a masterpiece. Photo taken by Jacklyn Atlas. 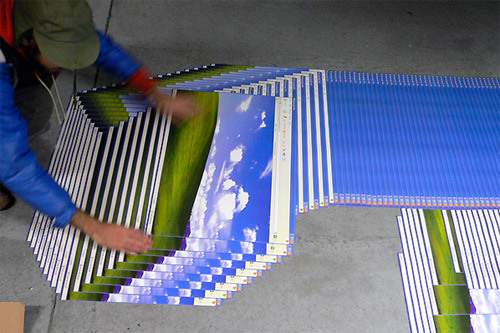 “My Favourite Landscape”, an installation of 500 prints by artist Paul Destieu, recreating a common Windows error. The above image is one of several from Alejo Malia that depict a world in which all the elements of Google Maps — place markers, public transit symbols and even the yellow street view guy — are completely real and physical objects looming over our buildings, streets and heads. Malia is a Spanish illustrator and designer who, while relatively unknown, has a very strong social media presence. He’s on Twitter, Facebook, YouTube, Blogspot and Flickr. 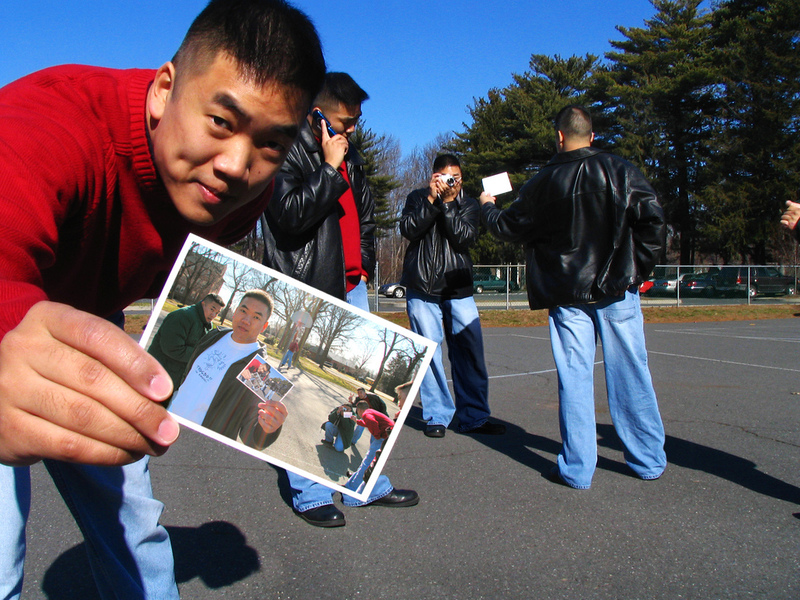 He uploaded this set of images (titled Google’s World) yesterday, but it’s not his first literal imagination of the technological world of the web; he also produced an image that incorporated Facebook’s “Like” button into a real photograph. Here’s the rest of the Google’s World set. Enjoy, and be sure and tweet your appreciation at Malia if you like his work.